What is a Retaining Wall Footing? Cement retaining walls may contain metal reinforcing bars, or rebar, for added stability against soil erosion. Concrete for a wall footing is frequently poured over a steel rebar grid, which increases the strength and durability of the structure. The footing of a retaining wall supports both the wall and the soil behind it. 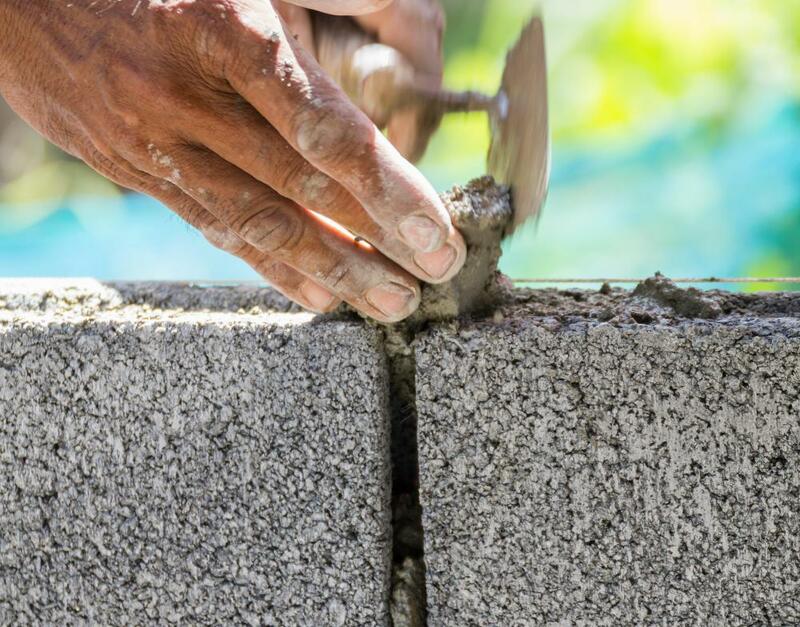 Cinder blocks and mortar can be used to build a basic retaining wall. Landowners and landscapers use retaining walls to prevent soil erosion on elevated areas, such as steeply sloping lawns, hills, and other inclined areas. 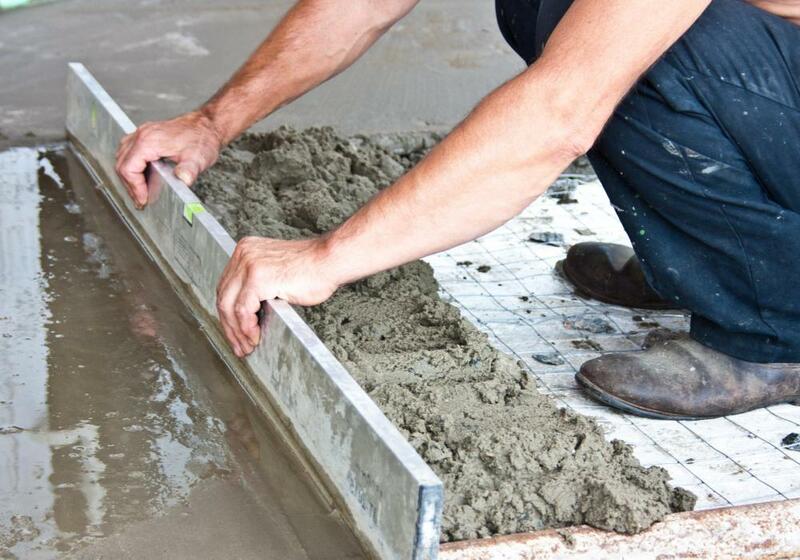 A footing is an underground concrete structure that a building, wall, or retaining wall rests upon. It distributes that weight of the structure to the soil below. The retaining wall footing supports the weight of the wall and the soil behind it. Without a footing, the retaining wall may collapse. Most regions have building codes that govern when a person needs to use a footing and how that footing needs to be constructed. A structural engineer can design a proper retaining wall system, including the proper size and shape of the footing. Many factors determine these factors. Some of factors include soil type, load weight, and wall height. Another factor is the water level in the region. Most retaining wall footings need some type of drainage on the load-bearing side. This allows any water that may damage the wall's stability to drain away. Often builders use gravel behind the retaining wall footing or a tiled drainage system. Cost, building codes, and soil type determine the type of drainage required. 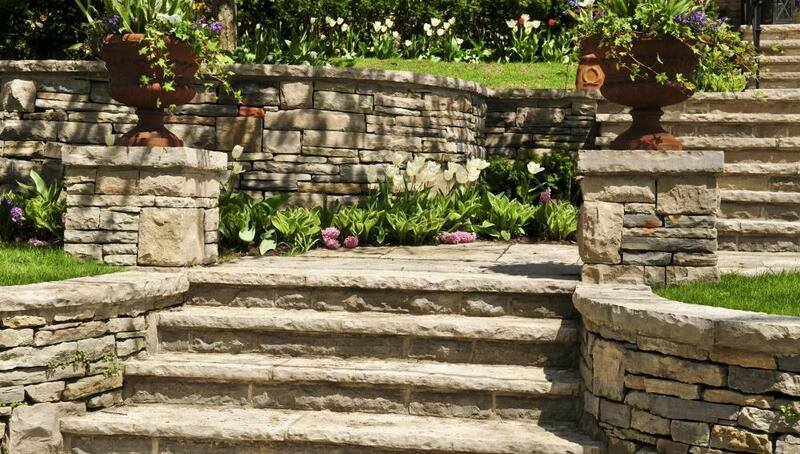 Softer soils, such as soft clay or sand, may reduce the amount of weight the retaining wall and footing can hold. Another soil consideration is contamination. For example, studies have shown that oil-contaminated soil reduces the tolerable weight load. Footings that are larger or built in a different shape may overcome this problem. Usually a structural engineer who is familiar with the soil conditions can design a suitable retaining wall footing. 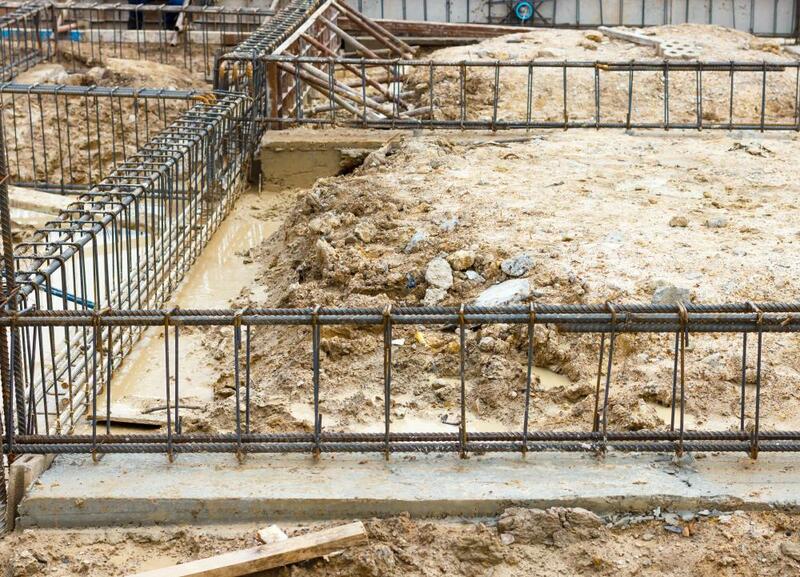 In many areas, the building code states that retaining walls made of concrete or concrete block need retaining wall footings with steel reinforcement rods, called rebar, or locking channel connectors, in order to provide a stable wall. Other considerations include the wall height. Many building codes do not stipulate the need for a retaining wall footing for walls that are 3 feet (approximately 0.9 m) or less. Some areas allow the walls to be up to 4 feet (about 1.2 m) before requiring a footing. Different areas and environments often necessitate deeper set footings. An example of this is in areas where hard frosts occur. Most engineers recommend footings that are 24 to 36 inches (about 61 to 91 cm) deep in frost regions. Following the local building codes regarding the proper depth can help a builder erect a more stable wall. Often the shape of the retaining wall footing can determine the stability of the retaining wall. Sometimes there are problems associated with retaining wall footings. A builder may have used the wrong style of footing or made it undersized for the size of the load. Slippage or inaccurate work may offset the retaining wall on the footing. Sometimes a builder can fix a simpler problem, such as an offset wall or the lack of a drainage system. A more serious problem is the complete lack of a footing, and usually there is no easy fix for the lack of a footing except to demolish the wall and rebuild. How do I Choose the Best Rebar Sizes? What are the Best Tips for Retaining Wall Drainage? What are the Different Types of Concrete Retaining Walls? What Are the Best Tips for Retaining Wall Repair? What is a Cantilever Retaining Wall?